Nearly half of the protein you need and 10 essential nutrients for about 150 calories per 3 oz. serving? Believe it! Beef gives you power. It gives you power to feel fuller longer, stay active longer, and manage your weight, all while giving your body the nutrition it needs. Besides tasting great, the nutrients in lean beef, such as protein, iron, and B-vitamins can help satisfy you and maintain a healthy weight, build muscles, and fuel a healthy and active lifestyle. 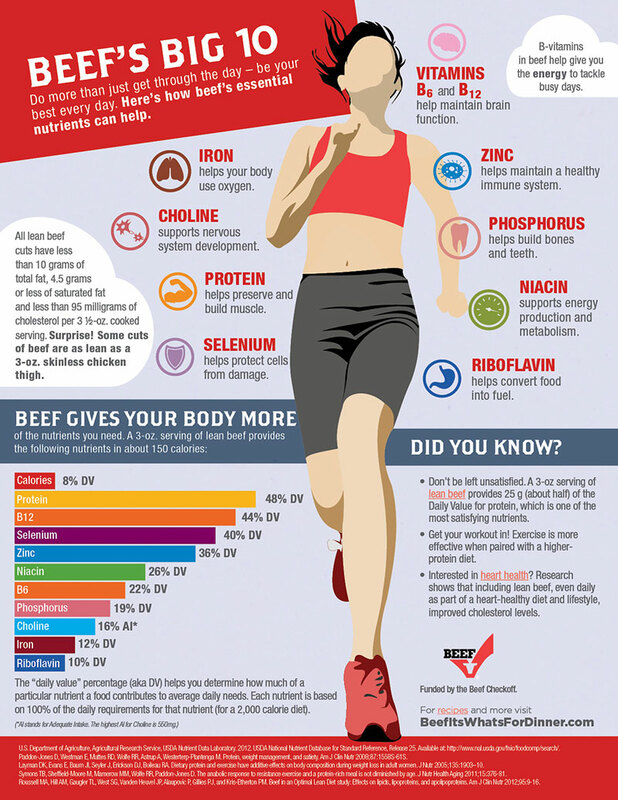 Research also suggests that eating lean beef can improve cholesterol levels! For more information on the Beef in an Optimal Lean Diet (BOLD) study, take a look at the BOLD fact sheet, BOLD press release, and a study published by Penn State. If you haven’t already, check out some of the most popular cuts like Strip Steak, T-Bone, and Tenderloin Steak. You are probably already cooking a lean cut at home or choosing it when dining out!